Combined Arms is Battlefield V’s new co-op experience for up to four players. The mode is being designed for a wide range of skill levels, with experienced players tackling the dangerous stuff, while newbies play more of a support role. 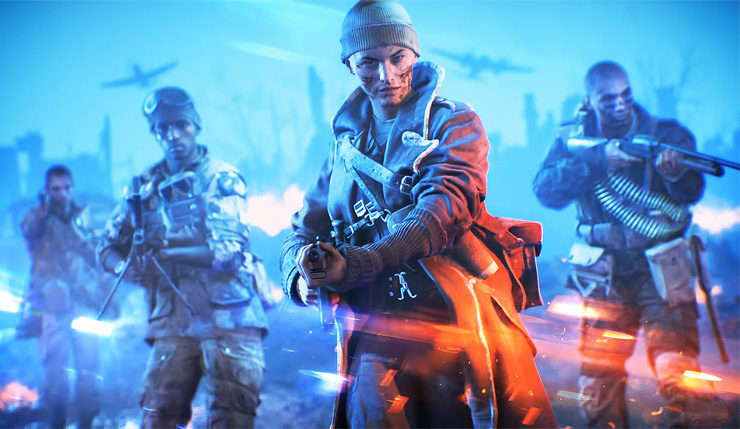 Battlefield V creative director Lars Gustavsson explained the philosophy behind Combined Arms. “Every now and then we do hear that, for new players, this can be an extremely daunting experience — almost overwhelming. To get in there, into that creative, all-out war sandbox can be challenging. Isn’t there something more focused, a bit more intimate, almost, yet social, that I can do within Battlefield that fits me and my friends? Combined Arms sounded like one of Battlefield V’s most promising new features, so it’s pretty disappointing to hear it won’t be available at launch. Combined Arms joins several other features, including battle royale mode and vehicle customization, that players will have to wait for. At one point, it seemed like Battlefield V’s Grand Operations had also been delayed, but EA later promised they’d be available at launch. Definitely seems like EA and DICE are scrambling to get this one out. What are your thoughts? Will you be buying Battlefield V at launch given all the delayed features? Battlefield V storms onto PC, Xbox One, and PS4 on October 19. Those who pre-order the Deluxe Edition can play three days early on October 16, and Origin Access Premier members can play the full game eight days early on October 11.